Passionate love is associated with intense changes in emotion and attention which are thought to play an important role in the early stages of romantic relationship formation. Although passionate love usually involves enhanced, near-obsessive attention to the beloved, anecdotal evidence suggest that the lover’s concentration for daily tasks like study and work may actually be impaired, suggesting reduced cognitive control. Affect might also contribute to changes in cognitive control. 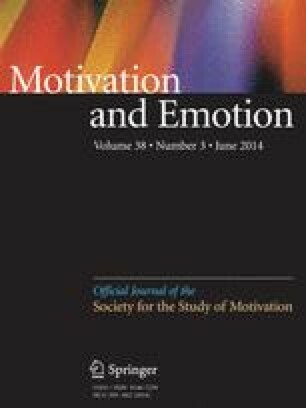 We examined the link between passionate love and cognitive control in a sample of students who had recently become involved in a romantic relationship. Intensity of passionate love as measured by the Passionate Love Scale was shown to correlate with decreased individual efficiency in cognitive control as measured in Stroop and flanker task performance. There was no evidence that affective changes mediate this effect. This study provides the first empirical evidence that passionate love in the early stages of romantic relationship is characterized by impaired cognitive control. We are very grateful to Eveline Euser, whose enthusiastic input and support were invaluable for this project. We thank Kimee van Almen, Dion Koesoemo Joedo, Faye Koolen, Erik van Loo, Tahnee Snelder, Jitske Voorham, and all other students involved in this project, for recruiting and testing the participants. This research was supported by a grant from the Netherlands Organization for Scientific Research (NWO) to the third author. Langeslag, S. J. E., van der Veen, F. M., & Röder, C. H. (2012). Attention modulates the dorsal striatum response to love stimuli. Human Brain Mapping. doi: 10.1002/hbm.22197.